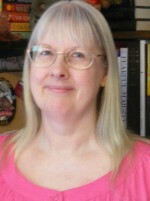 Kaitlyn Dunnett/Kathy Lynn Emerson here. 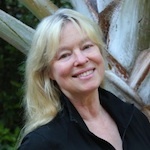 Writers are often asked where their ideas come from. In this case, I actually know. 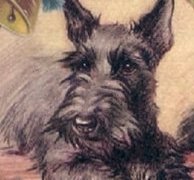 The starting point for The Scottie Barked at Midnight was the suggestion by a reader that I introduce a Scottish terrier to the Liss MacCrimmon Mysteries. I thought that was a great idea, but figuring out how to do it was a bit tricky. Liss, my amateur detective, already had two cats, and at least one of them didn’t have the kind of personality that would adapt well to sharing the house with a dog. Liss’s husband’s brother already had a dog, a mutt named Papelbon. A fox terrier named Skippy featured in an earlier book, but most of the continuing characters seemed to have no interest in owning pets of any kind. At the same time, I’d been considering how I might combine my love of Dancing with the Stars with a story set in Moosetookalook, Maine. I’m a big fan of this series. I don’t know why. I dislike most competition shows on television. Ditto reality shows. And my dance background is in ballet and theater choreography, not ballroom. Liss, a professional Scottish dancer, had no experience in this area, either. Then I read Homicide Hustle by Ella Barrick, in which her ballroom-dance-teacher sleuth gets involved in a television competition show called Ballroom with the B-List. It’s a very funny book, as well as a clever mystery. Since the last thing the cozy world needs is more clones, I started looking for an idea that would use the elements I wanted from the dance competition and yet be unique to my series. That led me to invent Variety, Live!, a competition show that brings together old-time variety acts—jugglers, magicians, dancers, singers, ventriloquists . . . even a dog act. I had a wonderful time dreaming up characters to go with the talents and imagining a plot that would bring the two Scotties that are two-thirds of “Deidre’s Dancing Doggies” into the world of Liss MacCrimmon and her friends. Since this is a mystery, there had to be nefarious doings that led to murder. Nothing is as it seems, not even the “live” part of Variety, Live! And Liss, with her dance background, is in a position to step in when the dancing doggies, Dandy and Dondi, need a new partner. 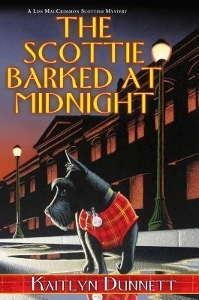 The Scottie Barked at Midnight goes on sale in one week on October 27, 2015. For those of you in Maine, I’ll be in Waterville with Lea Wait on October 31 and November 1 at the REM Craft Fair, held at 30 Elm Plaza (Champion’s Fitness Center). Apparently writing books is now considered a craft, right along with woodworking, basket weaving, needlepointing, and all the rest. I’m not complaining, mind you, but who knew? This entry was posted in Kaitlyn's Posts and tagged Ella Barrick, Kaitlyn Dunnett, Kathy Lynn Emerson, REM Craft Fair, Scottish terriers, The Scottie Barked at Midnight, writers' inspirations. Bookmark the permalink. 5 Responses to Where Do You Get Your Ideas? Writing is a craft at best, according to Samuel Johnson. A form of manufacturing might be more accurate: “No man but a blockhead ever wrote, except for money.” But poor Sam was just having a bad day. Thanks for the tip on a new author. I don’t watch “reality ” TV either, but this sounded like a good fun read. Liss is always a good read. My own particular poison, for like 10 seasons, was So You Think You Can Dance. Well, I’m looking forward to this one. I’m a sucker for dog mysteries, and I just finished Ho-Ho-Homicide (which I enjoyed). I’ve been a big fan of Dancing With the Stars, as well, although I haven’t watched the past couple years for lots of reasons that have everything to do with TV and not that show. I also despise competition shows. I think the fun of DWTS is that it really is about the dancing in a way that suggests that we could do this, too. You don’t have to be an undiscovered pro, like So You Think You Can Dance. People with normal skills (or the lack thereof) can also learn to dance. That is awesome. 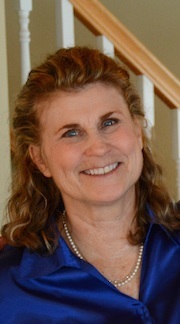 Thanks, everyone, for your comments. I had a lot of fun writing this book, both because of the setting and because of the Scotties.